Here are two great things in one, Purex and Zout. If you would like to try first before buying, check out freesample-purex.ca . 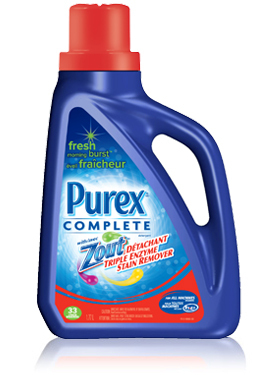 You can sign up to receive a sample of Purex with Zout. If you would like a coupon for Purex with Zout check out Save.ca for a $3.00 off coupon.